John Hogan was born on 8th April 1884 at 134 Heyside, Royton to Sarah Hogan an Oldhamer of Irish descent. His father was Matthew Creagon who was born in Warrington and lived next door to Sarah. Sarah and Matthew married in 1888, 4 years after John was born. 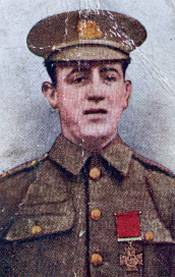 He was an employee of the GPO as a Postman in Royton before joining the army. John is known to have lived on Hilton St. Heyside, later in his life. 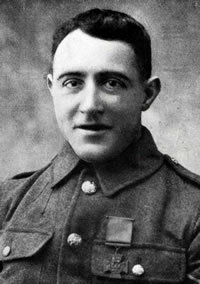 He became a Sergeant in the 2nd Battalion, The Manchester Regiment (later, The King's Regiment, now The Duke of Lancaster's Regiment), and was awarded the Victoria Cross Medal, the highest and most presigious award for gallantry in the face of the enemy that can be awarded to British and Commonwealth forces. John was 30 years of age when along with Second Lieutenant James Leach, on the 29th October 1914 near Festubert, France, performed a deed of great courage. Their citation reads: "For conspicuous bravery near Festubert, France on 29th October, when, after their trench was taken by the Germans, and after 2 attempts at recapture had failed, they voluntarily decided on the afternoon of the same day to recover the trench themselves, and, working from traverse to traverse at close quarters, with great bravery, in a bayonet attack, they gradually succeeded in gaining possession, killing 8 of the enemy, wounding 2 and making 16 prisoners." 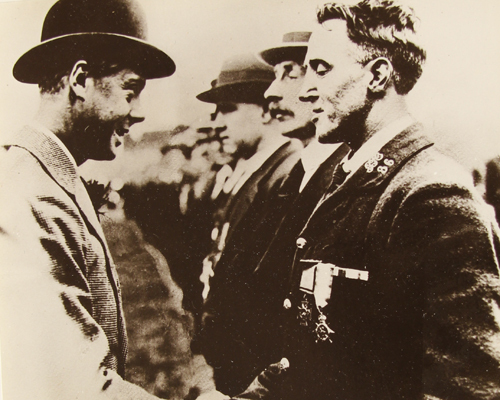 He received his medal in a ceremony at Buckingham Palace on 20th February 1915 from King George V and it is on display in Oldham Civic Centre. He married Margaret Jane Hannan in January 1915. She passed away in 1926 aged 50. John Hogan died of cancer on 6th October 1943 at the Oldham and District General Hospital. 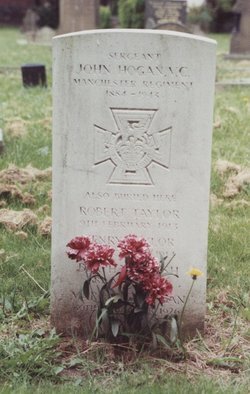 He was buried in Chadderton Cemetery. His headstone was replaced in 1996 after the original stone had subsided.